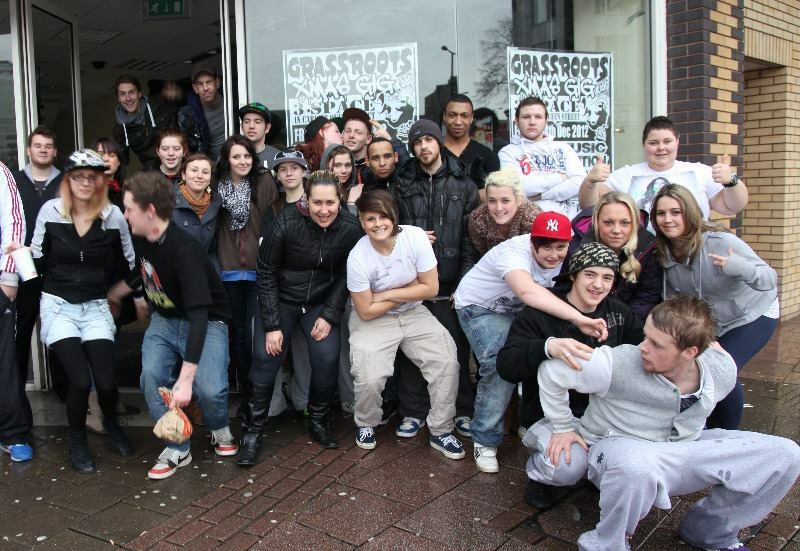 Grassroots Cardiff is a youth project that has been based in Cardiff city centre for over 30 years. They offer support, advice, training and positive creative options to disadvantaged young people aged 16-25 years old in Cardiff and surrounding areas. Grassroots has been a stepping stone for artists like the Super Furry Animals, Stereophonics, Cerys Matthews, Sian Evans (Kosheen), Andy Cairns (Therapy? ), Bullet For My Valentine, Young Marble Giants, Astroid Boys, and many others. 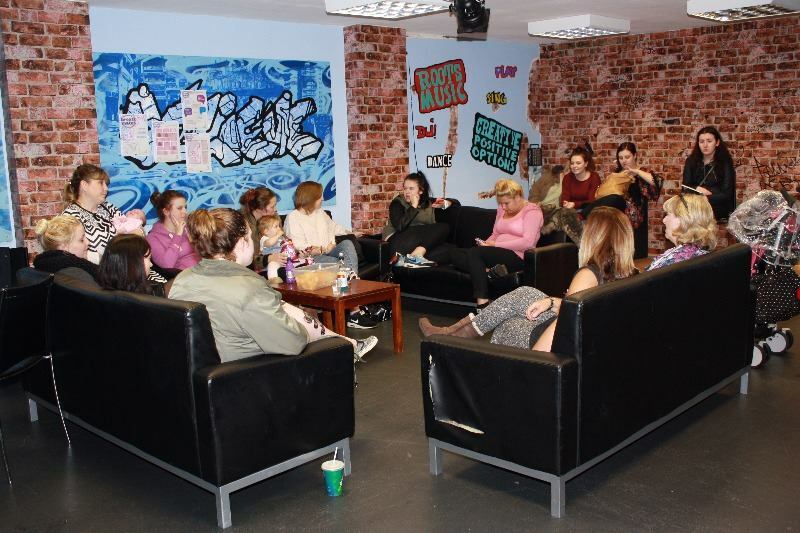 Helia spoke to Mike Botzaropoulos, a youth worker at Grassroots to find out more about this Cardiff institution for young people in the city. Grassroots is a youth organisation helping young people 16-25 years old. We endeavour to instil optimism, promote self-awareness and self-worth in young people who often see themselves in a negative light. Grassroots offers training and experience in a relaxed and friendly atmosphere, available in the areas of music, video, digital arts and media. This training can lead to qualifications or a progression to other more advanced facilities. We also run various other events and activities from time to time. There is a low cost coffee bar where young people are welcome to drop in to socialise or find out more about current activities or workshops. Grassroots Advice Office provides a free drop-in service, where youth specific advice is available. The project aims to listen to young people’s problems and help solve them together. We often deal with young people who face extreme poverty, adversity and despair, we offer positive relationships to all young people whatever their gender, sexuality, social or mental health status. Grassroots is not just about keeping kids off the streets, but engaging them in worthwhile activity, making them resilient and giving them a meaningful role to play in society. The organisation is partly funded by Cardiff Council and partly funded as a charity from various sources. Volunteers join the team from time to time. I volunteered back in 2007 before eventually being hired as the Youth Music Tutor. Now I run the Music Department. 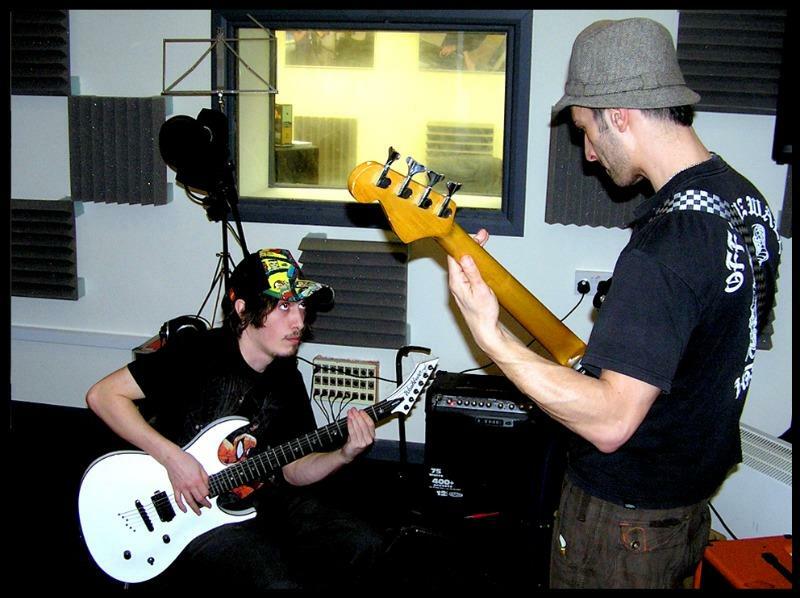 I studied Music Engineering and Production at Glamorgan Uni, so I was going around music studios for work experience. I started in Grassroots in February 2007, and the tutor that ran the studio back then was leaving the month after so I took over for three months, then got the job full time. It thought it was a great environment and something I wasn’t familiar with, as opposed to working in a commercial studio. Working with young people starting out was more rewarding than working with older artists that might have already been established in the local scene. Another time was when two of my young artists got to perform a song with Sian Evans of Kosheen at Clwb Ifor Bach. It was a fundraising gig for Grassroots with the support of Sian who did her first ever recording here and the audience gave the biggest applause for our young ones. We have a great variety of young people from various backgrounds and walks of life and with various skillsets. The majority of our young people are in need of support for issues like housing, relationships, mental health. The young people I deal with in the music department might be more motivated than others (again not necessarily). However, each and every young person we’re dealing with is unique in their own way. I’m originally from Athens, Greece. I moved to Wales 10 years ago. It feels like yesterday! I studied MSc Music Engineering and Production at Glamorgan Uni when it was in Trefforest, then moved to Cardiff a year later, got the job in Grassroots a year after that. I live in Swansea now to be closer to family, but travelling everyday is a testament to my commitment to Grassroots! I used to live 10 mins on foot away from Grassroots, ah – the good old days! Also if you want to pop in for a coffee, our legendary coffee bar is alive and kicking. this is the same place where Cardiff post punk legends Young Marble Giants played and recorded for the first time ever. Without that coffee bar we might have not had Nirvana, Hole, REM, Garbage (greatly influenced by YMG). Crazy thinking about it really! But yes it’s still here and it’s the main social hub for our young people and a great little venue for starters to experiment with audiences up to 50 capacity. It’s a place for anyone within our age range 16-25, and is a platform for young artists that don’t have the experience or the confidence (or the status for that matter) to play a commercial venue. I absolutely love Cardiff. If I had people visiting for the weekend, I would take them for a walk around the arcades, to Sophia Gardens, around Roath Park – I do love Cardiff more than Swansea! My favourite Cardiff pub is the Traders Tavern, it’s like the official pub for Grassroots staff. I love the atmosphere especially before a gig. I’ll extend my answer by naming my fav place for burgers and that’s The Grazing Shed behind Grassroots. You’d swear they don’t let me walk far from work haha! I used to I lived in Adamsdown, so literally 10′ walk from work. Now it takes me an hour and a half! If people want to support Grassroots, anyone can volunteer whether it’s for the coffee bar or the music and digital arts departments. Fundraising-wise, people can donate items or organise events. Any bright idea that can help is welcome! You can also donate money, if you can spare any cash – details are on the Grassroots website.